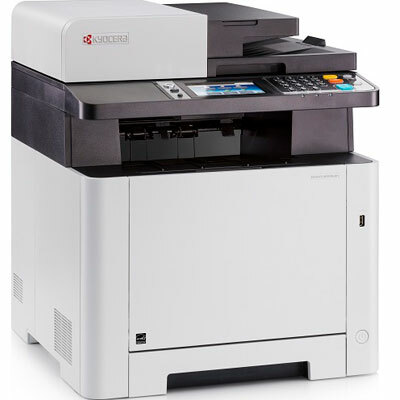 The Kyocera ECOSYS M5526cdw A4 Colour Laser Multifunction Wireless printer is an ideal printer for most small to medium business. This is an excellent wireless multifunction printer for those who need reliable, high quality printing with a wide variety of functions. Its Wireless functionality supports AirPrint, Mopria, and Kyocera Mobile Print. With double sided print, copy, scan & fax as standard, print speeds of 26ppm in Colour & Mono, a 10.9cm touch screen for intuitive use, and program keys to simplify complex workflows improve productivity and an unrivalled low cost/page of printing, this device as an absolute all-rounder. For enquiries, or to Order, call 1300 780 810, and ask about our Promotional Pricing plus Free Metro Delivery. 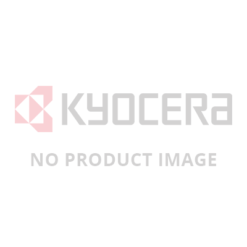 TK5244 toners, Black – 4,000 page yield*, 3 x Colours – 3,000 page yield* ea.